Pakistani community across the United States is in a state of shock over the massacre by Taliban terrorists at a school in Peshawar. Vigils in dozens of cities and towns across the US are attracting thousands of people. 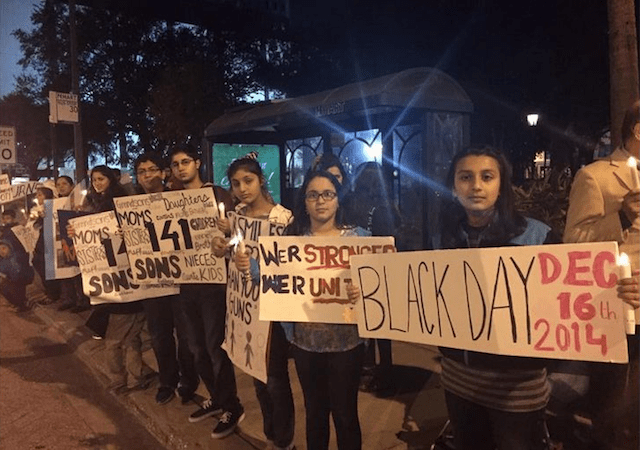 Follow ViewsWeek’s board NJ vigil on Pinterest.The massacre of 148 people, including 132 students, in the northwestern Pakistani city of Peshawar on December 16, has sent a wave of shock and anguish across the world. People of all colors, nationalities and faiths in almost every corner of the world roundly condemned the most horrific act of terrorism in the South Asian nation’s history, where Taliban terrorism has left more than 50,00 people dead. Not surprisingly, the Pakistani diaspora felt the most pain because it happened in their country of origin. Like in rest of the world, a wave of sympathy for the dead has swept the United States with Pakistani community organizing special prayers and vigils in dozens of cities and towns. From mega cities such as New York City, Jersey City, Philadelphia, Chicago, Washington DC, Seattle, Tampa, Houston, etc to small sleepy towns like Boonton, NJ, and Cary, North Carolina, local communities joined immigrants from Pakistan in mourning the carnage. The US is home to a large population of immigrants from Pakistan. Though Pakistani-Americans’ exact population is not known but community activists claim it could be between 700,00-one million strong. Pakistani consulate in New York estimates that upto 300,00 Pakistanis may be living in the tri-state area and some adjacent states. 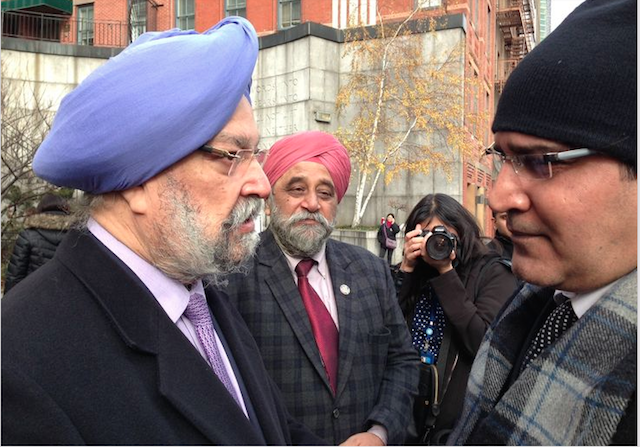 It was a rare sight on the First Avenue and 42nd Street in front of the United Nations where India’s former ambassador to the UN Hardeep Singh Puri walked to a small group of mourners to express his condolences to Raja Ali Ejaz, the New York-based Pakistan’s Consul General. “Please accept my deepest condolences,” the soft-spoken Puri told Raja. He also fondly recalled his friendship with Abdullah Hussain Haroon, Pakistan’s former ambassador to the UN. 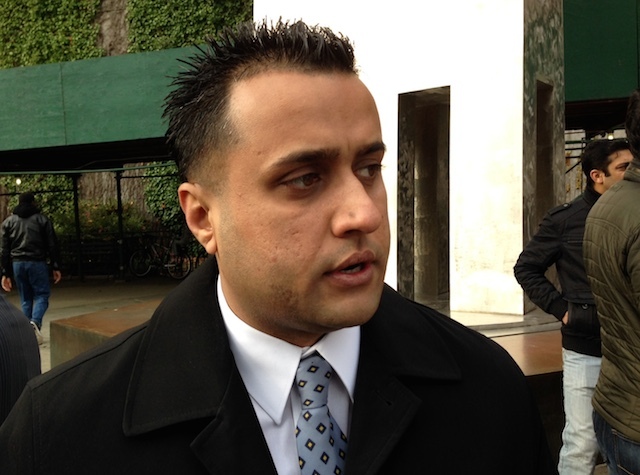 The vigil outside the UN was organized by the New York Police Department’s Desi Society. “There are about 1,000 Desi officers in the NYPD,” said Detective Amjad Khan, president of the executive board of the society, who is also an ethnic Pashtoon from Pakistan’s Khyber Pakhtunkhwa province. NYPD is nation’s largest police force. In Brooklyn, which is home to largest population of immigrants from Pakistan, saw several vigils and prayers. Follow ViewsWeek’s board Brooklyn & UN vigil on Pinterest. 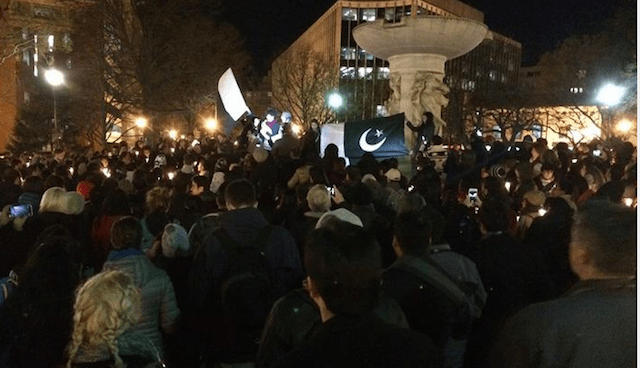 The American Council of Minority Women (a Brooklyn-based non-profit working for women empowerment), the Pakistani merchants association, Khyber Society (a cultural organization of the Pashtoon community) and many other local groups organized several vigils. 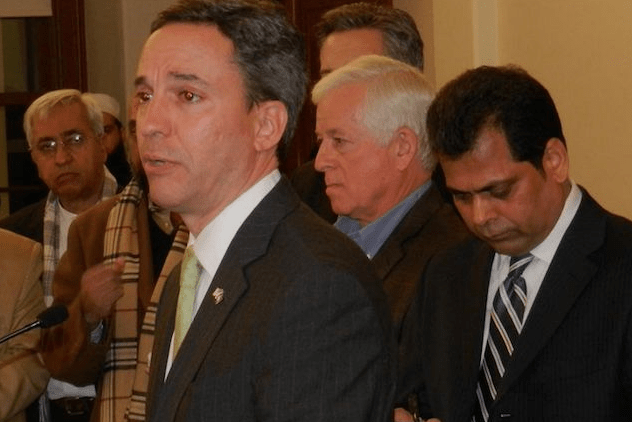 Iqbal Ali Khan-lead Khyber Society and local Pashtoon community leaders including Taj Akbar Khan organized special prayers at the Makki mosque, also located on Coney Island Avenue, where a large number of community members showed up. The largest vigil was attended by the Brooklyn borough president Eric Adams, New York City Public Advocate Letitia James, New York City Comptroller Scott Stringer and many local elected officials at the Coney Island Avenue, also known as “Little Pakistan”. At the initiative of Bazah Roohi-lead American Council of Minority Women and Shabbir Gul who heads the Bronx Community Council, in collaboration with at least 18 other groups organized a vigil at Times Square on December 21 where more than 100 community members held placards and candlelights to remember the victims of the massacre. No city public official showed up at the vigil. One organizer blamed lack of homework, the very short notice at which the vigil was organized and divisions within the community for their failure to invite public officials to the vigil. A similar vigil was organized by community leaders and activists in Jackson Heights where several dozen people showed up despite cold and rainy weather. A number of other vigils and special prayers were held across the five boroughs of New York City. Follow ViewsWeek’s board Washington DC vigil on Pinterest. In Washington DC, hundreds of people braving the cold weather, flocked to the Dupont Circle on December 17, to hold a vigil. Holding candles and placard, the Pakistanis, joined by many members of other communities, condemned the terrorist attack and expressed their sympathies with the families of the victims. Prominent community members, including prominent Pakistani journalist and writer Raza Rumi, addressed the mourners. In Tampa, Florida, home to a growing and vibrant population of Pakistani immigrants, local community leaders organized a vigil in downtown Tampa. About 250 community members, many of them professionals, joined the vigil which was organized by Dr Munir Khan and others. They condemned the school massacre and hoped that Pakistani government will take serious steps to bring the perpetrators to justice. Follow ViewsWeek’s board Tampa Vigil on Pinterest. One of the biggest vigil was held at the Nassau County’s Executive Office building on December 17 which was attended by well over 300 people representing different races, colors and ethnicities. The event was organized by Nassau County’s Human Rights commission chairman Zahid Syed, Zakir Siddiqi of PACOLI (a Pakistani American community organization), Indian American politician Bobby Kumar and his team on a very short notice. County Executive Ed Mangano could not attended due to prior commitments. However, he was represented by Nassau County Police Commissioner Thomas Krumpter who condemned the barbaric and insane act of terrorism. Other elected officials who attended the vigil and spoke included New York State Senator Jack Martin, New York State Assemblyman Charles Lavine, Nassau County Legislator Richard Nicolello, Jon Kaiman representing NYS Governor, and assistant District Attorney of Nassau CountySummer Hill. Leaders from different faiths and religions including Muslims, Christians, Jewish, Hindus and Sikhs offered special prayers for the slain children. Prominent Muslim Scholar Mufti Farhan said acts of violence and spilling the innocents blood had no place in Islam. Hafiz Saeed, Imam of Islamic Center of Long Island offered concluding prayer. Follow ViewsWeek’s board Nassau County vigil on Pinterest. The Pakistani community reacted strongly on the social media soon after the news came in about the attacks. Facebook and Twitter were awash with messages full of anger. Everyone should accept part of the blame and be ashamed that something so barbaric could happen to the children in Peshawar. No religion allows killing of innocent children neither would anyone with an ounce of humanity do such a thing. These terrorists and whoever supports them should and will be rooted out of Pakistan by the Army and the people of Pakistan InshaAllah (God willing). This is a moment for all political and military leadership to come together and finally fix the flaws in the system and take national security as top priority. We need to fund security institutions rather than build more megaprojects as the first and most important job of any government is to safeguard the life and property of its citizens. I hope our politicians, military, and police will learn from this incident and will get their act together in the interest of Pakistan. Next Where is the Opposition After Japan’s s Status Quo Elections?